So last Saturday I was at Park Royal Hotel for the Nuffnang Japan fundraiser! 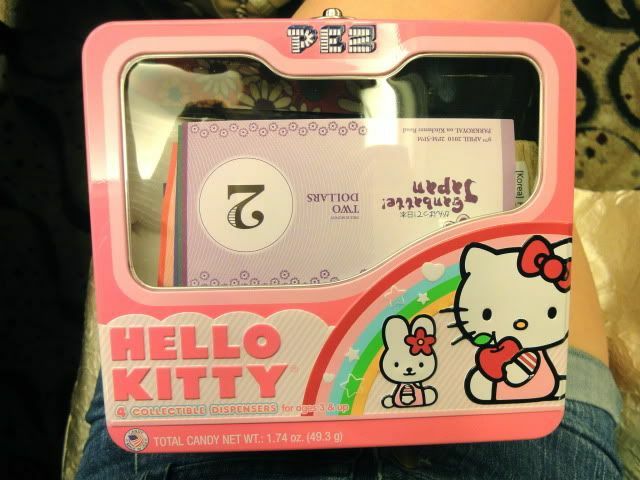 My Hello Kitty lunchbox, which held all our money! Shared a stall with Qiuting doing manicures (I was slowly allowed to do up to base colour coats haha) and we raised quite a bit! We only got marginally beaten by Jessica (Shiberty) and her cupcakes! 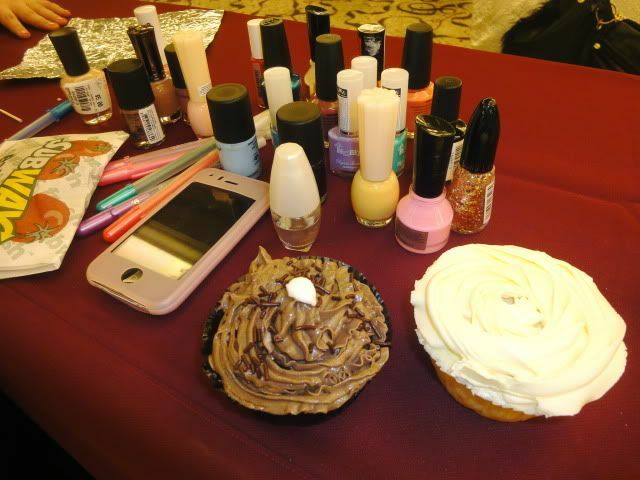 Brought some of my own nail polishes too, and those are the 2 cupcakes I bought from Jessica (they were her last!). Did leopard-print nails for myself! SO SAD )': they spelt my name as Sophia at first. Sob sob 21 years of people mis-spelling my name... if it's not Sophia it'll be Willcoq. 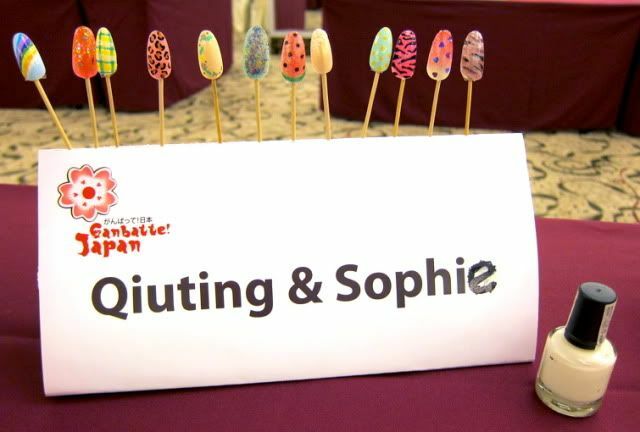 Haha and "Qiuting & Sophia" sounds like Qiuting is some spoilt girl who brought along her maid to do the dirty work no? Leopard-print nails Qiuting did for her friend! So envious of people with nice nails. LOL @ Qiuting's photoshopping... you can't get more abnormally doe-eyed than that. Pictures from Jessica; her booth is directly opposite ours! That's me hard at work ok. Probably doing... the clear base coat hahaha. Where did you get the Hello Kitty lunchbox from? Its so cute! Hi, may i know when did you get ur shorts?